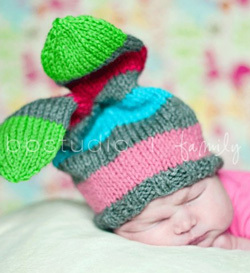 KatieDid Crafts brings us this unusual, cuter than a bugs ear bunny hat! Use up your leftovers, you can make tons of them each one better than the last. I LOVE that you have full folders on your desktop, too. I have lots and lots of ideas and more get sent to me by friends in both email and snail mail. But I will make this hat as it is too cute and looks rather like something easy to do at night with TV on. Thanks for sharing.